With more and more high-speed trains come into operation, train travel in China has become much easier and more comfortable, especially in major cities. In order to help the passengers to get an overview of train travel between certain cities, we have listed a few pairs of cities which would be useful for passengers. The overview information includes departure time, duration, departure&arrival stations, tickets fare of different seats or sleepers etc. It would be helpful to plan a travel schedule. 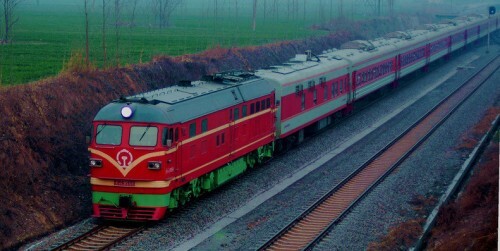 Click here for more information about train travel in China: tickets purchase,change and cancellation,children ticket,luggage allowance, and etc. How to Take Trains in China? How to Buy Train Tickets in China? When is the best time to book a ticket in advance? ©2019 ChinaTour.Net · Beijing Dragon City Ltd.